Ever since Dookie hit the airwaves Green Day has been ever so present on radio. It’s hard to believe that its been almost a decade since Green Day released their rock opera American Idiot which spawned a ton more airplay. 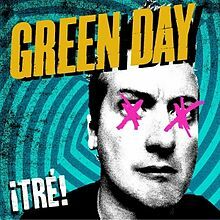 Since that time Green Day released 21st Century Breakdown, another rock opera. The band now has released another first, a three album trilogy entitled Uno, Dos and Tre respectively. The band was at their most creative time and the songs just kept coming which prompted the band to release each album individually, from September through December in 2012. Uno kicks off the trilogy and appears to be the most straight forward of the three releases. From the opening notes of “Nuclear Family” to the closing track the first single “Oh Love” the album seems to pack a punch. 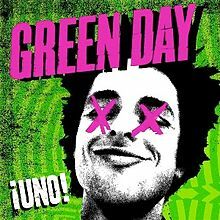 Although you can hear some punk influences throughout the release, Green Day has seemed to shift to a more power pop sound almost in the vein of Cheap Trick with Uno. Dos, released in November is probably the weakest of the trilogy, however has perhaps one of the best tunes in “Amy” which is dedicated to the late Amy Whinehouse. The album has a more “garage” type approach on the majority of the songs which may explain the unevenness of the overall disc. Tre is the final release of the trilogy. It was slated to be released in January 2013 but was bumped up to December due to the band having to cancel some tour dates. Tre features the gem “8th Avenue Serenade” and the soon to be classic “Drama Queen”. “The Forgotten” was also released on The Twilight Saga: Breaking Dawn – Part 2 Soundtrack. “Dirty Rotten Bastards” pays a homage to the epic “Jesus Of Suburbia” in the way the song plays out. 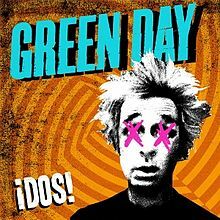 The trilogy takes you on a musical journey, one that should make most Green Day fans happy. One can clearly hear several phases and elements of Green Days past throughout the trilogy. For anyone buying the trilogy, it is like receiving a box set of all new tracks and the thrill of discovering some really good tunes in the process.